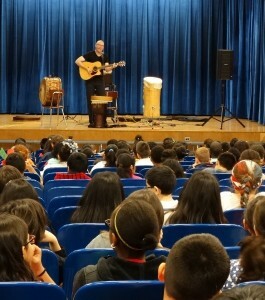 Songs designed linguistically to support transformation and change in an entertaining way. These songs are actually designed to get stuck in your head in a positive way and they significantly replace negative thinking. Many folks like the way they feel after listening. Other folks just like the music cuz they like it. Give it a shot. You can download them free (or pay what you want). 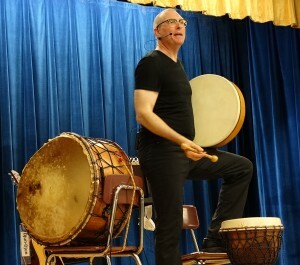 “Curiosity” This is an African Folktale that I turned into a song and accompany with the Irish drum called a “Bodhran” (Pro-nounced “Bow-rawn”) It’s a key part of my Beyond The Borders Program because it’s instantly engages audiences of all ages.